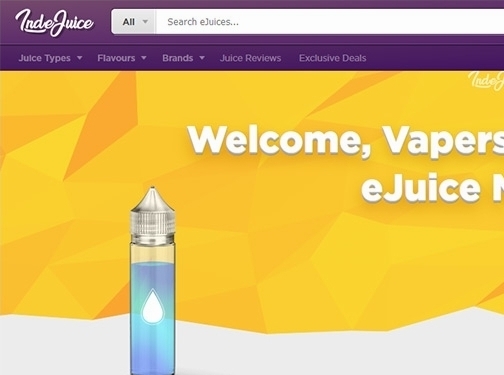 IndeJuice is the UK's Leading e-Juice Marketplace offering the UK's best prices on Vape e-Juice and e-Cig e-Liquids from the world's best e-Juice makers. It is also home to the original Nicotine Shot Calculator used and enjoyed by vapers around the world. Find the biggest and best UK deals on vape e-juice and e-liquids, alongside the largest collection of vape juice reviews - by vapers for vapers. UK (Stirchley, Birmingham) baed business - established in 2017 - providing ecigarette e-liquids for sale. Website includes e-commerce facilities, delivery and returns information (within terms and conditions), FAQs, full contact details including company registration and VAT numbers.